Why you take photo of her in a shoes shop? 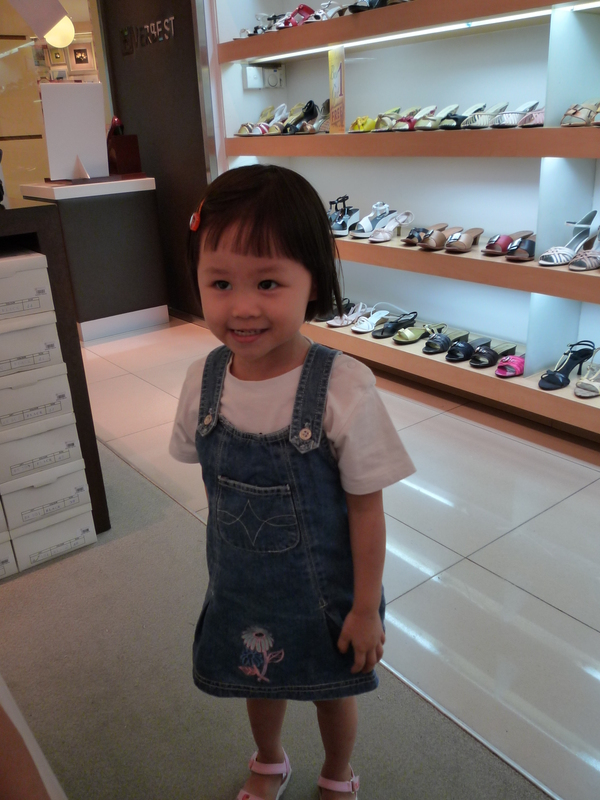 Who is shopping for shoe, the mama or papa? Looks like a ladies shoe shop to me…. wahaha…..
Haha…. as usual, eyes light up when see camera…. 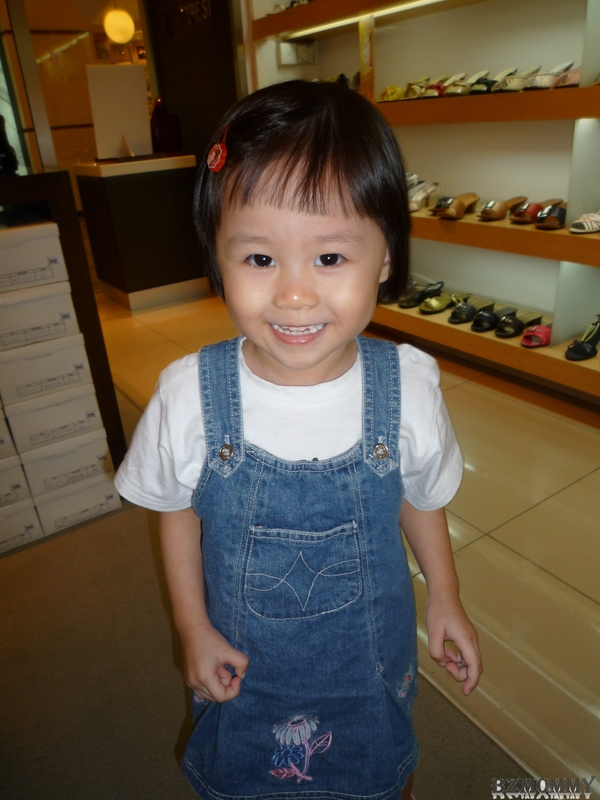 and papa took a very long time to buy shoes hahahaha, so got to whip out the secret weapon to distract her.